Brussels Airlines Cargo has increased its volume by 34% during 2017, to over 49,000 tonnes. VP Global Cargo Alban François is convinced that 2018 will bring another boost to over 55,000 tonnes as well as an even closer cooperation with Lufthansa Cargo. According to the manager, the volume rise was triggered by three circumstances. “Our volume for 2016 was impacted by the terror attacks, which especially hit March and April of that year (even if the company was able to report a 6% growth over the year as a whole, ms). Secondly, there was the introduction of the 10th A330 in our fleet to serve Mumbai, which gave us a 10% capacity rise. Last but not least, we improved the forecasting of the capacity under the lead of SN Cargo’s new cargo capacity & revenue manager, Thomas Blondiau,” Mr François explained. The introduction of capacity management has made a great difference compared with the old days when volumes were assessed in a rather empiric way, he says. “Now we have introduced a forecasting model that enables us to assess the number of passenger, their baggage weight and this for considering the specifics of every route and the day of the week on top of seasonal effects. In doing this, we have a better idea of the capacity per aircraft. He went on to say: “It allowed us to fly about one extra tonne per flight on average. And this in spite of the fact that our passenger load seat factor has also increased over the same period. 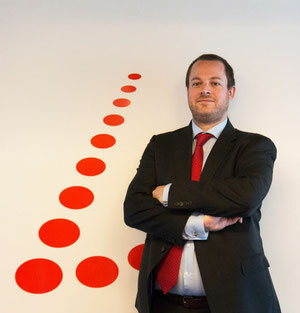 All these measures added up came at the right moment, when the market itself was very responsive,” Alban stated. 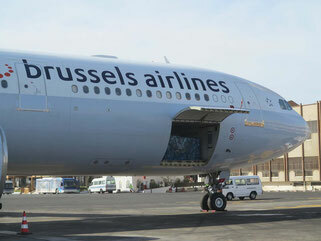 Africa remains by far the most important market for Brussels Airlines Cargo, accounting for some 30,000 tonnes. North America (New York, Washington and Toronto) generated some 11,500 tonnes, Mumbai roughly 4,400 t. The rest of the volume has been flown on the European network. Thanks to a dedicated control desk and ramp transport, deliveries can be made until one hour before take-off and goods are made available at destinations in 45 mins. The only rule to be followed is that the consignments fit into the airline’s ‘postal bags’. These Courier bags are recognized across the network and they are off-loaded even before the baggage. The product is currently offered within the EU only, since there is no customs clearance. Courier consignments travel without an AWB, even if the accompanying document looks like one. “The handling companies insisted on having a document,” Alban explains. Maybe a world’s first was Brussels Airlines’ mapping of the temperature in the holds from the very hot (Africa) to the very cold (Toronto), he thinks. “A lot depends on the start conditions. If the holds have been open for 2 hours at an African airport, you cannot expect them to cool down to 15° juts like that. Our mapping has allowed us to draw up some procedures and provide the transparency so much requested.” Brussels Airlines now wants to pioneer to be the first airline CEIV certified through the entire network. This will allow to continue the growth beyond 2018. The target of a 10% growth to 55,000 tonnes Alban and his team have set for 2018 is linked to on the one hand Mumbai (that will contribute as a full-year operation) and on the other hand an adapted rotation on the East-African network.